TCM Group Ukraine is the Ukrainian office of TCM Group International Ltd., which is a unique alliance of more than 38 law offices and 110 agencies, practicing international commercial dispute resolution in a total of 147 countries. TCM Group International was established in 1987 and has been represented in Ukraine since 2014 through its office in Kyiv, providing Ukrainian clients with a unique opportunity to access its offices around the world. TCM Group Ukraine represents all foreign offices of TCM Group International and shares the Group’s knowledge and expertise in the following areas: international commercial litigation and arbitration, negotiations and mediation, international commercial debt recovery and debt collection, recognition and enforcement of foreign judgments and arbitral awards, bankruptcy proceedings. 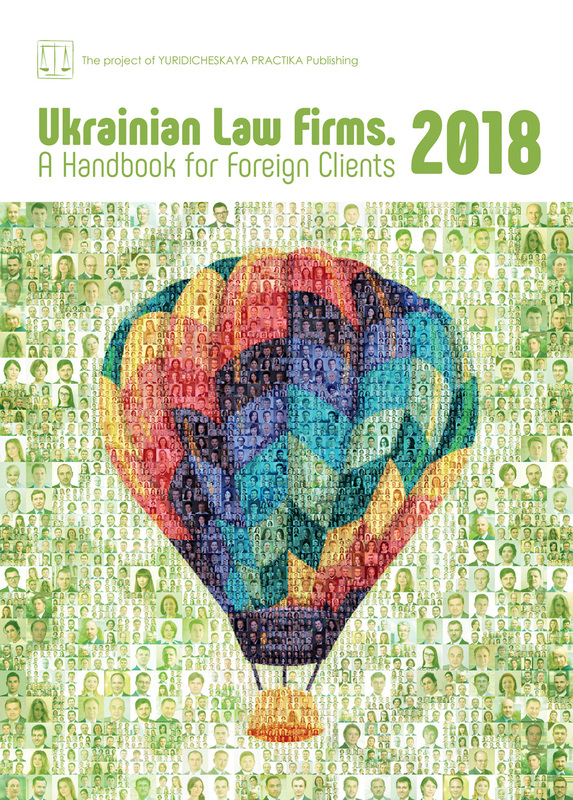 Lawyers of TCM Group Ukraine have expertise in various industries and have been recognized as reliable business advisors. TCM Group offices: Argentina, Australia, Austria, Belgium, Bolivia, Brazil, Canada, Chile, China, Colombia, Cyprus, Czech Republic, Denmark, Dominican Republic, Ecuador, Egypt, Estonia, Finland, France, Germany, Greece, Hungary, Iceland, India, Ireland, Israel, Italy, Japan, Netherlands, Norway, Poland, Russian Federation, South Africa, South Korea, Sweden, Switzerland, Ukraine, USA. ADVOQ and NOTARIUM are About to Change the Rules of the Game! Our legal market is developing rapidly, more and more highly-qualified specialists are appearing, the quality of service is improving, and competition is growing. In parallel, we see how the whole world is changing, introducing new technologies that affect us and change our lives. That is why we have an idea to combine these two trends and create a unique resource that would be useful to both users and lawyers. We believe it would be great to have a service that will make the search for a lawyer simple, interesting and convenient for everyone. At the same time, as lawyers, we completely understand all the complexities of attracting new clients. We have thought about the resolving of these problems simultaneously and, as a result, have become mentors of unique projects — ADVOQ and NOTARIUM. You might have heard stories about former lawyers who became designers or started their own business. As for us, we love our job, and we really enjoy it. Perhaps the mentioned fact has prompted us to think about the improvement in a sphere which is directly related to the people of our own profession. Our team had an opportunity to participate and contribute to the unification of the digital world and jurisprudence, and you have a chance to evaluate the result. 1) So far, it is a unique resource not only in Ukraine but in the whole CIS region. There are only a couple of analogs that do not meet the requirements of users. 2) Attorneys do not have a need to invest enormous funds in opening their own websites and maintaining their activity. It is enough to take a little time in order to fill in detailed information about yourself at ADVOQ’s personal account, and the lawyer’s page will appear on the website immediately. Moreover, everyone gets an opportunity to share their profile from the website via social networks in order to attract additional attention. 3) Attorneys have an opportunity to indicate their experience, information about education, details about the cost of services and their specifics, office address, contacts, etc. Considering that the choice of a legal defender is quite a difficult task, all the above-mentioned information creates additional criteria for evaluating a particular candidate for the user. 4) People have an opportunity to evaluate the quality of work and leave their feedback about each attorney. What can help you choose a lawyer better than reviews about the results of his work? Based on this and other information, a unique rating for each attorney is created, and this significantly simplifies the process of searching for a client. On the other hand, such an option creates clear and healthy competition between attorneys. Who does not want to be the best, have an ideal reputation and be respected? 5) An opportunity of choosing a suitable specialist from among thousands of attorneys is probably one of the main advantages of ADVOQ. Anyone can obtain services from a professional at an acceptable price, find an attorney close to home or, vice versa, in another corner of the country, choose the person with the biggest experience or with the best reviews. Of course, this opportunity should help to avoid cooperation with an unreliable attorney. ADVOQ was created for everyone, and our users can be identified by two categories: attorneys and people looking for a personal lawyer. What do we usually do if we need an attorney? More likely, first of all, we start asking our friends, neighbors, relatives and colleagues whether they know a good specialist. This method is not always reliable, and it is not always possible to find an attorney. Another option is to just “Google”. Will you trust your destiny, interests and protection of rights to someone just by looking at the websites of several law firms that use advertising to appear on the first page of Google search? How doesADVOQ work? You just visit the website, fill in the necessary details, and you will get access to a list of all the qualified professionals. Then, you have the opportunity to choose the most attractive option based on criteria like cost of services, location of the attorney’s office, reviews, etc. The user already knows the price of the attorney’s services, length of free consultation and location of his/her office. Users of ADVOQ can be sure about the validity of this information since all attorneys posted on the website have certificates. In its turn, NOTARIUM is created in order to make cooperation with notaries as simple, convenient and effective as possible. The main goal is to eliminate all inconveniences and provide plenty of new opportunities to both sides — notaries and people seeking for notary services. Let’s imagine one of the situations that arises in this sphere quite often. You need to notarize a document and you need to get it done urgently. What actions do you usually undertake in such case? Exactly — start looking for the notary through the Google search system. The best case scenario is to find a personal website of needed expert. However, it may not be useful due to the lack of information provided there. Obviously, you will not find anything about the reputation of the specialist, about his/her real experience, work schedule, etc. Taking into consideration the above-mentioned problem, it was decided to create a platform that will bring together all specialists in this sphere and will enable receipt of all necessary information about them. This is something like the world-famous resource TripAdvisor, only in the area of providing notary services. In terms of experience in creating IT projects it should be noted that we didn’t have any practice in this sphere until the creation of NOTARIUM. Moreover, we have never mentored the teams involved in the development and implementation of such IT products. Nevertheless, this fact was not an obstacle! We truly believe that in view of creation and implementation of innovations in the field of information technologies, the following components are critically important: 1) a turnkey solution to a particular problem; 2) a great desire to solve this problem; 3) the closest surroundings of like-minded people. In our case these three factors were present. As lawyers, we were aware of problems in the legal sphere and understood the way they could be solved. Meanwhile, a team of talented developers knew how to realize this solution. As previously mentioned, NOTARIUM is designed to help both notaries and people who need to get high-quality service from a relevant specialist. Consequently, our target audience is divided into two main groups. To become part of the resource, the notary shall register on the web resource and add all the necessary information, including: 1) personal photo; 2) contacts; 3) a small self-presentation; 4) schedule of work; 5) list of services and prices; 6) interviews, articles, releases in scientific publications. After filling out the questionnaire, which is posted on the web resource, any person seeking notary services can make an appointment with a preferred notary. Thus, for the public NOTARIUM is a special new algorithm for finding required experts. The resource exposes a huge range of specialists who provide notarial assistance. What is mostly remarkable is that just in few clicks you can find a notary and view all his/her personal information; go through feedback left by other users, that obviously affect his/her reputation and rating; find out information about the cost of various notary services; learn about his/her working time; and finally make an appointment and receive further assistance. Today, the Ukrainian IT market is the third among industries that provide export of goods and services, only behind the agricultural sector and metallurgy. We can currently observe a positive trend — multiple creation of companies and organizations aimed at developing and maintain information technologies. Most of the largest corporations invest huge money in start-ups, realizing their importance in future progress. Taking into account all the points mentioned above, we can assure you that within the next 10 years we will observe development of this industry in exponential progression. With respect to our role in this process, our team consists of young and progressive people, who are willing to support the creation and development of information projects in every possible way. The results of our work can directly prove such a statement. Furthermore, our company is ready to invest in the new ideas of young and talented people. It is essentially important to provide support for talent even at the very beginning, and to let them learn from us and count on our assistance and mentoring.